I was inspired this morning (while digging through my ever-so-crowded storage room) to play Santa! We are having our gingerbread house programs today and I thought it would be fun to give the kids a free picture book. 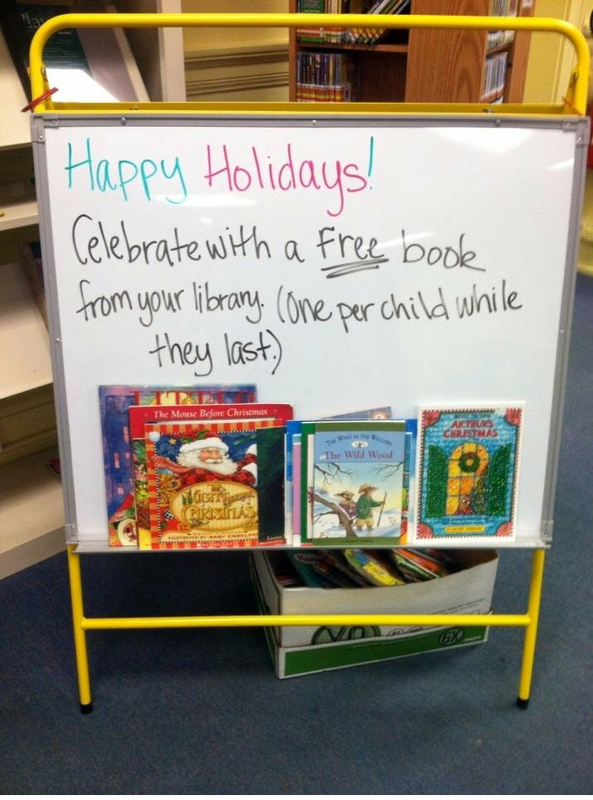 Many of the kids in our community are lower-income and don't have books of their own. These books were all donated to the library from parents whose kids have outgrown them, but they are still in great shape. Rather than put them in the book sale, I like to save them to give out when the mood strikes me. We also give them to the winners of our weekly trivia contest during the summer reading program. You can tell that I could never be a teacher because I cannot write without lines!